Discrimination won the championship this year. The NCAA announced Tuesday morning that it completely fell for the bait-and-switch concocted by Republican leadership in North Carolina’s legislature and Gov. Roy Cooper (D). 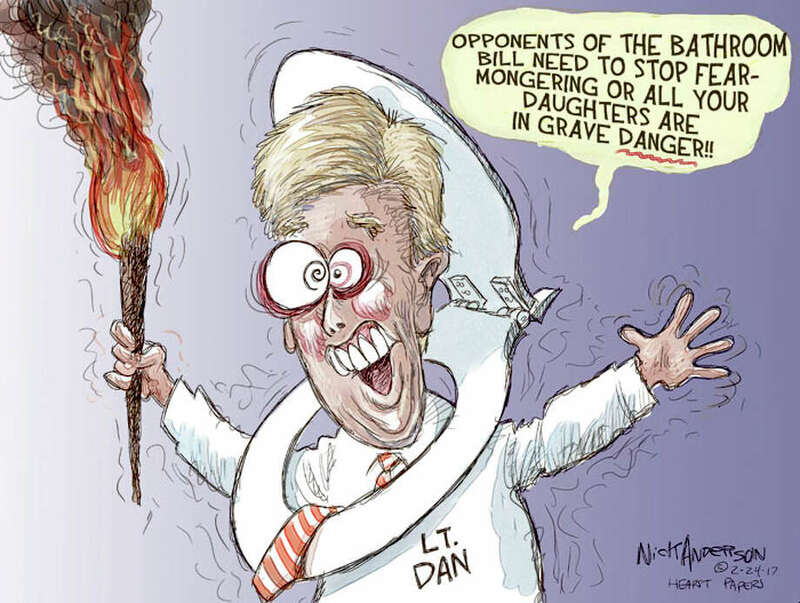 Last week, they passed a compromise bill that repealed HB2, the state’s infamous anti-LGBT law, and replaced it with HB142, which consists of most of the same provisions that HB2 had. In its statement, the NCAA acknowledged that “this new law is far from perfect” — but apparently, the organization’s standard is so low for standing by its LGBT students, staff, and fans that it’s still rewarding North Carolina by reopening the state for consideration in hosting championship events. This is blatantly untrue. Only two other states, Arkansas and Tennessee, ban municipalities from passing LGBT nondiscrimination protections. No other state has North Carolina’s new prohibition on any subdivision of government creating policies assuring transgender people have access to restrooms. In other words, it doesn’t matter if trans people can’t be guaranteed access to bathrooms — or that the state law imposing that burden continues to unfairly stigmatize transgender people as some kind of threat to safety — because everything else is apparently good enough for the NCAA to return. Unlike the NCAA, many of the cities that punished North Carolina for its discriminatory legislation do not see the new law as a viable solution. The mayors and city councils of Los Angeles, Santa Fe, Cincinnati, and Salt Lake City have all reiterated that they still ban publicly-funded travel to the state. See here for the background. It’s discouraging, but I suppose it’s par for the course for the NCAA. That said, my fear all along has been that just as North Carolina did the barest minimum to win back the NCAA, the SB6 zealots will tweak things enough around the edges to get the business lobby to back off. That may not happen with the full bill, but a scaled down version of it may happen with one of the zillions of budget amendments or other bills that may serve as a vehicle for some form of SB6. And there are still concerns about Texas even as SB6 sits in the House. San Antonio officials and other opponents of similar legislation in Texas have often cited the NCAA move as a cautionary tale. They worry the organization will move its 2018 Final Four championship games out of San Antonio if the proposal is signed into law, taking with it an estimated $135 million in local spending on restaurants, hotels and attractions. The NCAA did not respond to a request for comment Tuesday regarding whether it would move the Final Four from San Antonio if the Texas bill is adopted. So far, the NCAA hasn’t said publicly whether it would pull the San Antonio championship — which is expected to draw about 70,000 ticket-holding attendees — if the Texas bill passes. The local Final Four organizing committee is working “full steam ahead” to secure thousands of volunteers and staff coordinating committees that will make decisions regarding security, transportation and marketing among other areas surrounding the event within the next 12 months, said Jenny Carnes, San Antonio Sports associate executive director. “There have been no signs or indications of the NCAA backing off of what would be our normal timeline,” Carnes said. NCAA’s North Carolina decision is a “positive” development but not a guarantee the organization won’t pull the Final Four championship from the city, said Casandra Matej, president and CEO of Visit San Antonio, the former city Convention and Visitors Bureau. But, Visit San Antonio is currently booking fewer conventions and meetings because groups are waiting to see whether Texas Senate Bill 6 passes before they finalize plans, Matej said. Two organizations have told Visit San Antonio they will not consider the Alamo City to host future conventions because of the bill, according to the organization. Nine other organizations are waiting to see whether the bill will pass before deciding whether to return to San Antonio, she said. San Antonio would lose an estimated $40 million in convention and tourism spending if all 11 organizations decide to move their events. In total, tourism officials in the state’s four largest cities — San Antonio, Austin, Dallas and Houston — say they stand to lose a combined $407 million within the next few years just on the conventions and events that have already threatened to take their business elsewhere if Senate Bill 6 passes. It’s already had a big negative effect on our reputation. So far TAB hasn’t changed its tune on SB6, and I’m not aware of any other entity caving on HB2 as the NCAA has, so perhaps the benefit they got from tweaking HB2 will be limited to that. But this is a reminder that as nice as it is to have the business lobby on our side for this, the problem with SB6 is and always will be its capacity to hurt people. That will be the case no matter what the economics of it are. Deadspin and Slate have more. Posted in: National news, That's our Lege.